Calendars feel full and there is so much merriment in the air at this time of year! Can we tempt you with one more fun activity this holiday season? Join us Zest it Up gals for an evening at Talley Vineyards. 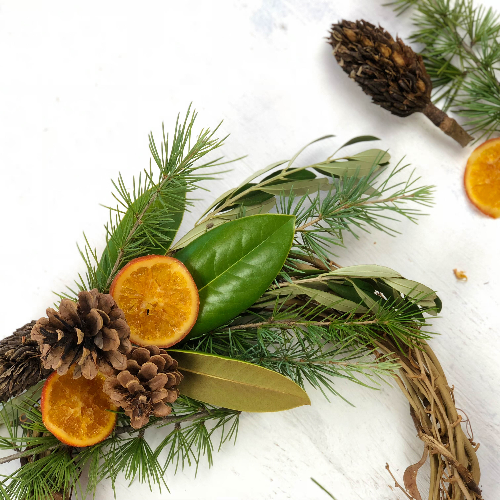 It will be a fun night of creativity and learning, as we teach you the fundamentals of arranging while helping you add a little "homemade" to your decor through wreath-making. So, get ready to shake up your party-going, family-entertaining, present-shopping circuit with a little craft therapy! There will be giggles. There will be wine. There will be delicious food (that YOU didn't have to cook). Are you sold, yet? Hahaha. Let's have some merrimaking together!